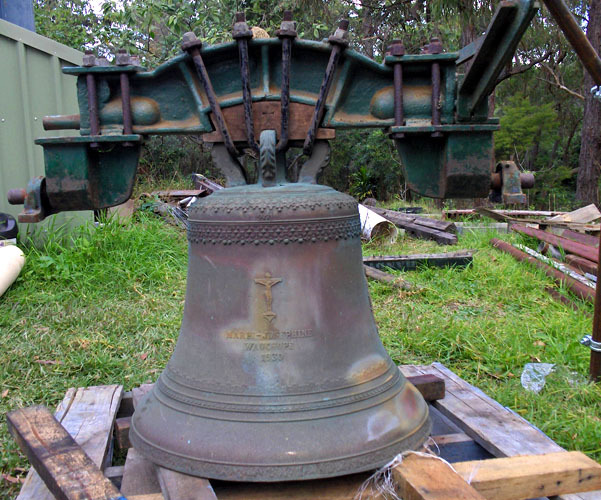 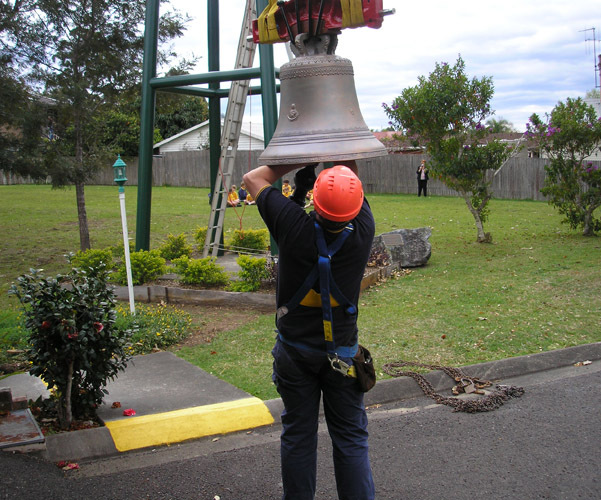 The congregation of Our Lady of Lourdes in Wauchope wanted to automate the ringing of their bell. 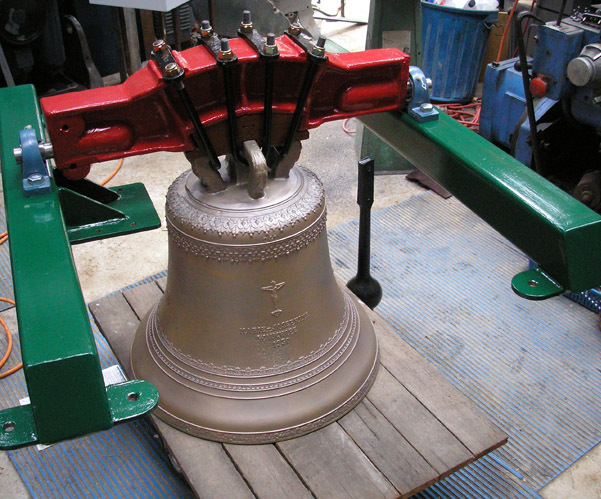 We removed the bell and refurbished the hanging arrangement whilst installing an electromagnetic hammer. 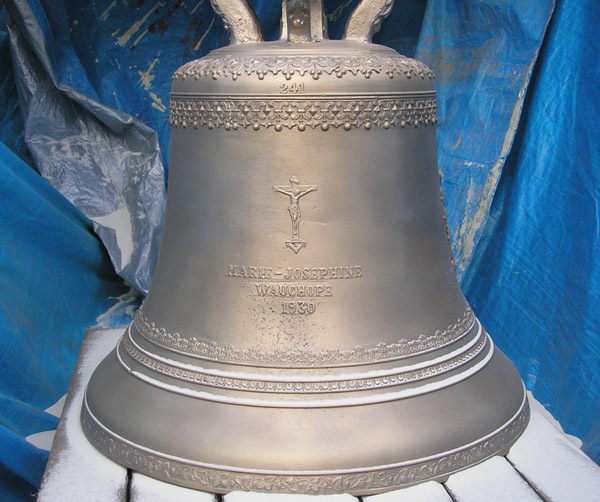 The bell now strikes the Angelus three times a day, at pre-programmed times, and the control panel allows for tolling for weddings and funerals.